The Crisis Quarterback counsels and advises companies on how to prepare for, manage through, and recover from difficult operational situations arising in the game of business. We offer objective and candid leadership assistance to companies that are underachieving, facing a crisis, or that are otherwise performing well, but have underachieving divisions or subsidiaries. Do you have a leader on your team who can handle adversity? When the game is on the line and the clock is working against the offense, there are special plays that are reserved to be called in just those circumstances. 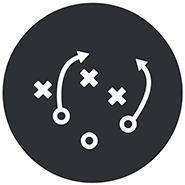 At these crucial moments, merely having a game plan is not enough to win - the team must execute flawlessly and be guided by an experienced leader as they move down the field. A business in trouble is no different than a team that is behind late in the Fourth Quarter - the clock is not your friend and the future of the company may be on the line. 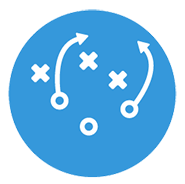 You need an experienced and objective business leader, who specializes in running the “no huddle, two-minute” offense. Why not bring a specialist into the game? 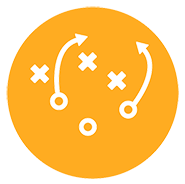 Call in The Crisis Quarterback to provide your executive team with the guidance, leadership, and specialized management skills tailored to crisis management, which your company needs to achieve a successful resolution of your adverse challenges. During a crisis, your management team will be stretched between handling the problems and trying to stay focused on the rest of your business that isn't directly impacted. It is very likely that your entire company will become distracted by the negative circumstances, which could create unintentional reverberations across your otherwise healthy departments. As a neutral third-party advisor, we are best suited to make the tough decisions that are necessary to resolve the crisis in the most efficient and expeditious manner. Our honesty and independent objectivity allow us to say things and render observations that your existing team may be reluctant to convey. Being experienced and focused on handling the unique pressures and stresses of managing resources in a crisis situation, we can reduce or eliminate any emotional or cultural roadblocks that could impede resolution of the problem. 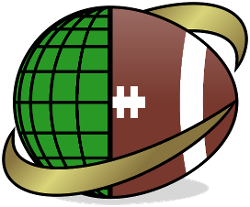 Whether you are the owner, director, creditor, or executive of a company in trouble, or have a legal, tax, or accounting client who is struggling to manage through a business crisis, including corporate restructurings, turnarounds, and liquidations, call The Crisis Quarterback now to discuss how we can help. You have a plan for growing your business. Do you have a plan to handle major setbacks? Click below to find out why you should. Your team was functioning fine right up until it suddenly wasn't. Rather than rely on a strategy of hoping that your leaders can manage their way out of the crisis, wouldn't you better reduce your risk by bringing in a seasoned troubleshooter who can help navigate the unfamiliar field? After you've had an unexpected downdraft in your business, how do you know it won't happen again? Do you have a strategy for learning from your company's mistakes?